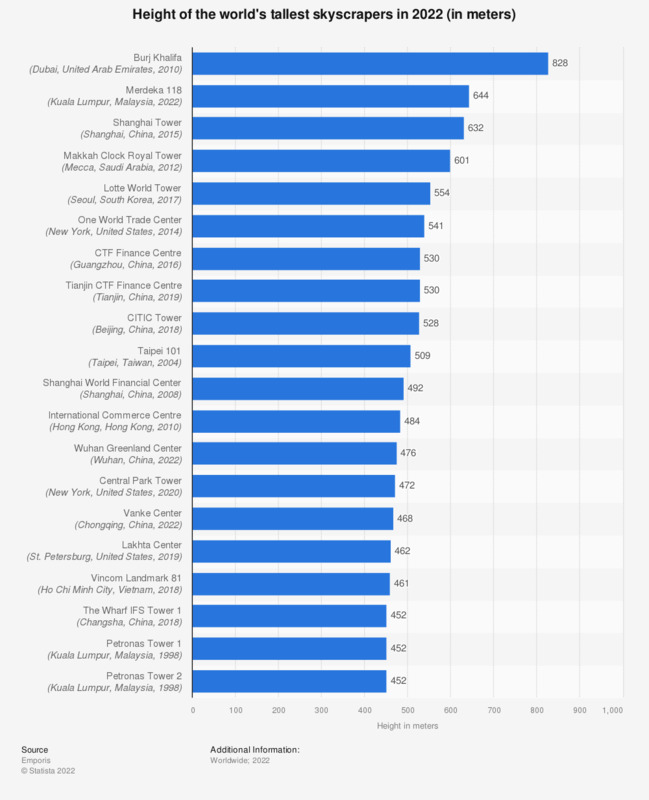 The statistic shows the height of the world's tallest skyscrapers in 2018 (in meters). With a height of 828 meters, the Burj Khalifa is currently the tallest skyscraper in the world. Adrian Smith of Skidmore, Owings and Merrill acted as the chief architect of the project, which was constructed by Samsung C&T.